I’ve never seen these before, but that’s not really a surprise. 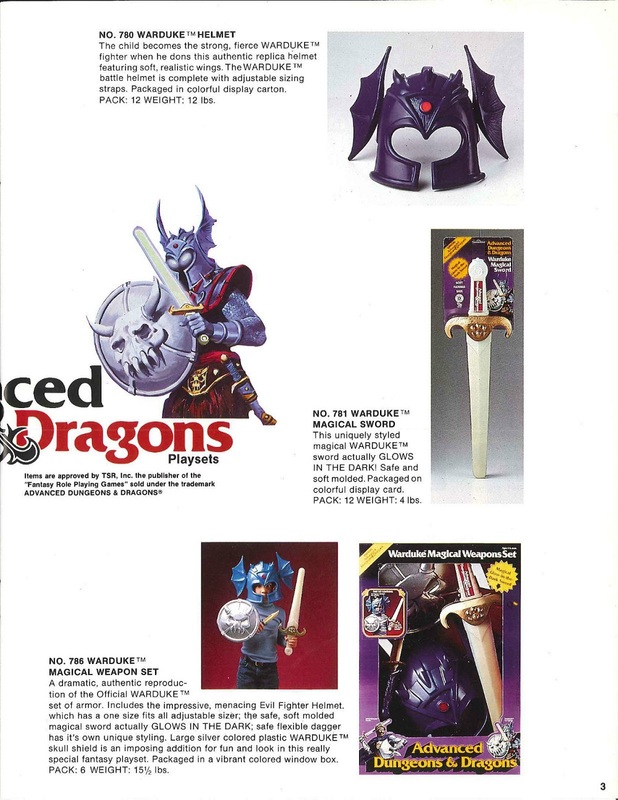 The mainstream expansion of D&D starting in 1983, when the action figure line and the cartoon were released, was a decadent mess. 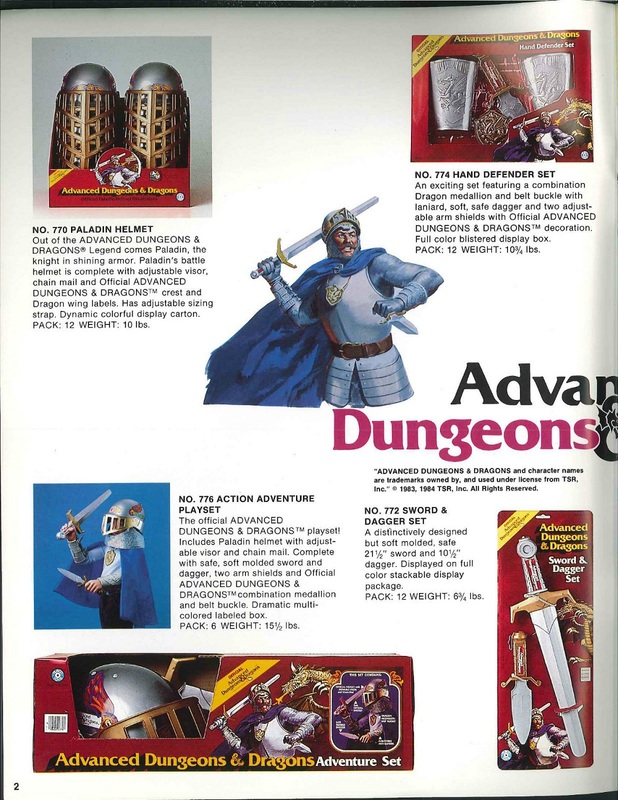 I have fond memories of both, but neither product broke new ground or had anything to do with D&D, and what’s worse, they lived in separate universes. It was a marketing disaster. Had the cartoon featured the grittier action figure characters and Thundarr-like production and writing, D&D might have become a much different franchise. I do get a kick out of the toy sets, and I think they’re interesting historically. Maybe I’ll be Warduke for Halloween. Awesome. Thanks for sharing. I hadn’t seen those catalog listings before. The Warduke costume is way cooler than Strongheart. Way cooler. I don’t think the sets have anything to do with Halloween, despite my comment. They’re just part of Placo’s line-up in 1984. 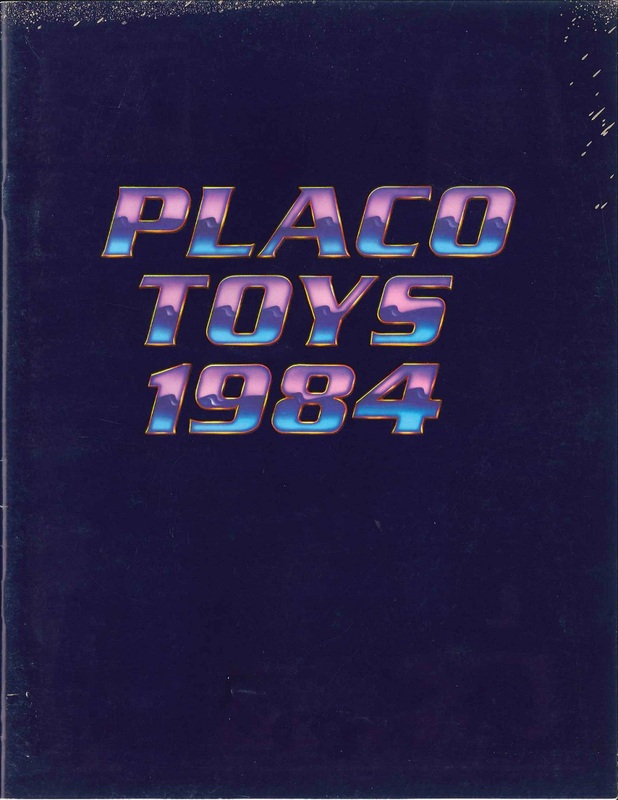 I’d never even heard of Placo before seeing the catalog. I have the complete cartoon DVD, but haven’t gotten to watch it yt. I do remember reading that Warduke was featured in all of one episode, as a henchman. Yeah, but they were only appearances. It was a clumsy attempt to tie the two products together.